Another problem, same hud ._. are not working, and i dont know why. http://imgur.com/a/FtuUL Go to the fonts folder and install the font. How exactly would i do that? Are the font files for the crosshairs properly installed? To fix the fonts, go into m0rehud black 2.0\resource\font, hold leftclick from the first font to the last, rightclick then click install, and it'll install the fonts. are not working, and i dont know why. [/quote] Are the font files for the crosshairs properly installed? are not working, and i dont know why. Are the font files for the crosshairs properly installed? The font issue has been fixed, i installed the fonts and it seems to be fixed. but i have no idea how to fix the crosshairs, i checked to see if i installed the font for them and i did. but still nothing. How do I change the background colour for the sort dropdown menu? 2) How do I get the box showing your killer's items to show in the freezecam? go into hudname\resource\font, install the KnucklesCrosses.ttf font by rightclicking then click install. go into [i]hudname\resource\font[/i], install the KnucklesCrosses.ttf font by rightclicking then click install. How can I edit the "Your team captured the enemy intelligence" and the rest of CTF text popups? How do I change the color of the health bar/cross? NOT the background, the actual cross in the foreground that changes with your health and is generally off-white. Does anyone know if it's possible to change the cowmangler ammo counter from a line to numbers? I'd greatly appreciate it. MuodyMHow can I edit the "Your team captured the enemy intelligence" and the rest of CTF text popups? resource/ui/notifications and then you need to work mostly with base_notification. [quote=MuodyM]How can I edit the "Your team captured the enemy intelligence" and the rest of CTF text popups? My targetid isn't correctly showing the team color bar. The visible value for both of them in targetid.res is set to 0 by default and they don't show up. How do I fix the tiered-item background? On my HUD, the target ID health value has a box around it that changes to red/blue to indicate that the player is buffed/hurt. How do I make it to where the health number changes color instead of the box? just a quick question, but if HUDs are allowed in any sv_pure, cant you just add custom skins to a hud to enable them too? chostarmanjust a quick question, but if HUDs are allowed in any sv_pure, cant you just add custom skins to a hud to enable them too? 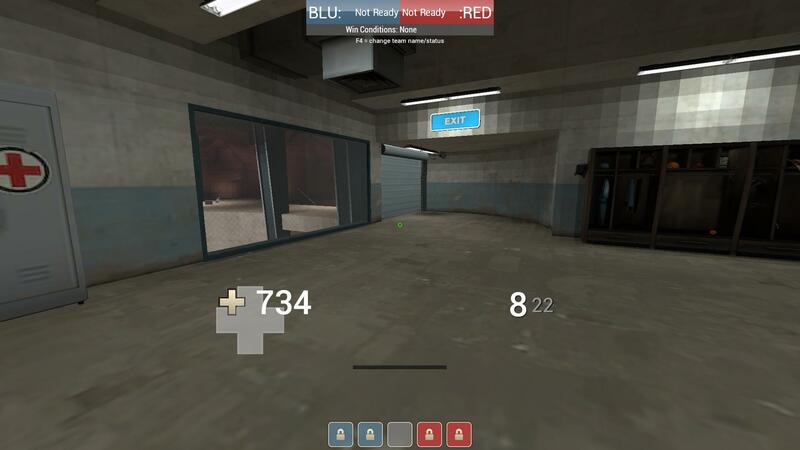 bLaOn my HUD, the target ID health value has a box around it that changes to red/blue to indicate that the player is buffed/hurt. How do I make it to where the health number changes color instead of the box? @chostarman: Have a look at the sv_pure whitelist example file and the sv_pure 2 whitelist to see which folders/files can be changed. There are some exceptions for hud things you can do with .res files such as loading custom images (vtf/vmt) by using the 'replay' thumbnails folder. @chostarman: Have a look at the [url=https://github.com/SteamDatabase/GameTracking-TF2/blob/master/tf/cfg/pure_server_whitelist_example.txt]sv_pure whitelist example file[/url] and the [url=https://github.com/SteamDatabase/GameTracking-TF2/blob/master/tf/cfg/pure_server_full.txt]sv_pure 2 whitelist[/url] to see which folders/files can be changed. Yesterday, my hud stopped displaying health gain of teammates when I hit them with an arrow. Did anything happen with that file recently? If so, how do I update it? Thank you for helping me, my friend. CollaideYesterday, my hud stopped displaying health gain of teammates when I hit them with an arrow. Did anything happen with that file recently? If so, how do I update it? Does anyone know how I would get the green outline of m0rehuds overheal, into pvhud, so pvhud has that green outline when buffed? I know this is done via hudanimations_tf.txt, but I can't figure any of that stuff out and I'd appreciate if someone could figure out the exact code I need to accomplish this. Can someone walk me through changing the font and colour for my damage numbers? bLa FlaeCan someone walk me through changing the font and colour for my damage numbers? p.s I wanna stick with the default hud resource/clientscheme.res most likely has the color value for damage numbers, so change that to your liking. If you wanna change the font of damage numbers, open resource/ui/huddamageaccount.res and change "font" on floating damage numbers and last damage done to whatever you want. [quote=bLa][quote=Flae]Can someone walk me through changing the font and colour for my damage numbers? resource/clientscheme.res most likely has the color value for damage numbers, so change that to your liking. Flae bLa FlaeCan someone walk me through changing the font and colour for my damage numbers? Wait, I'm stupid and didn't see that you're wanting to stick to the default HUD. You're gonna have to create a HUD folder, create a resource folder within it, create a ui folder in it, and then create huddamageaccount.res. Also, you'd need to create a clientscheme.res file in the resource folder and paste the default clientscheme into it. [quote=Flae][quote=bLa][quote=Flae]Can someone walk me through changing the font and colour for my damage numbers? On control point maps I can see any x on point except the x1, (I'm using mkhud). Does anybody know how to fix this or where the files of the control points are located so I can either edit or remove them or something?